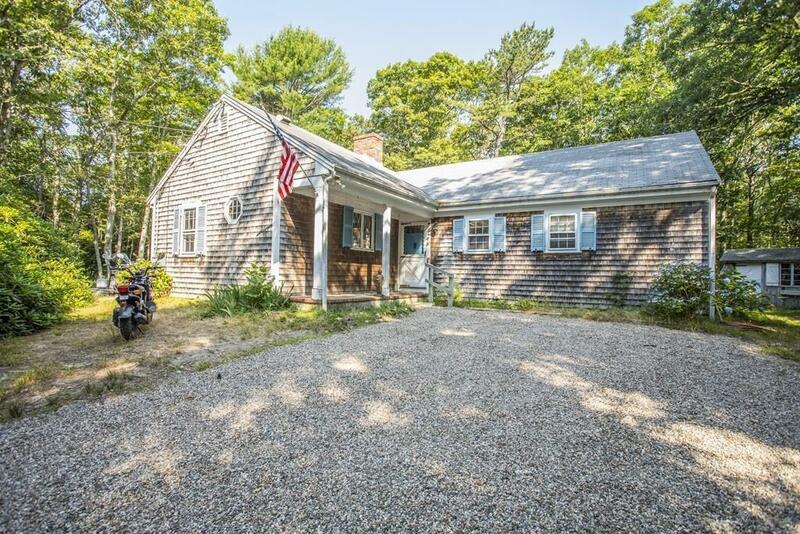 Paradise awaits you in this Cape Cod ranch FOUR HOMES FROM THE BEACH. Pass through security and cross the Causeway onto exclusive Scraggy Neck, a Norman Rockwell like community featuring beaches, anchorage, and a boat ramp. Bring your golf cart and cruise to the tennis & basketball courts and playground. The home itself sits on nearly 1.25 acres and abuts a large, protected forest, supplying plenty of privacy. There are 2 bedrooms and 2 full bathrooms, an additional bunk area with two queen beds, but could fit several bunk beds for bigger families. The family room boasts an amazing fireplace and coffered ceiling and the outdoor shower is the perfect spot to get all the sand and salt off after a long day at the beach. Blast the ice cold central air and you'll stay comfortable all day. There is a back up generator and a NEW five bedroom septic. A rare opportunity to own on Scraggy Neck for under a million, don't miss out on this beauty! Sunroom currently used as 3rd bedroom with 2 beds. Listing courtesy of Scott Jones of Re/Max Platinum. Disclosures Association initiation Fee Of $6000.00. Listing provided courtesy of Scott Jones of Re/Max Platinum.